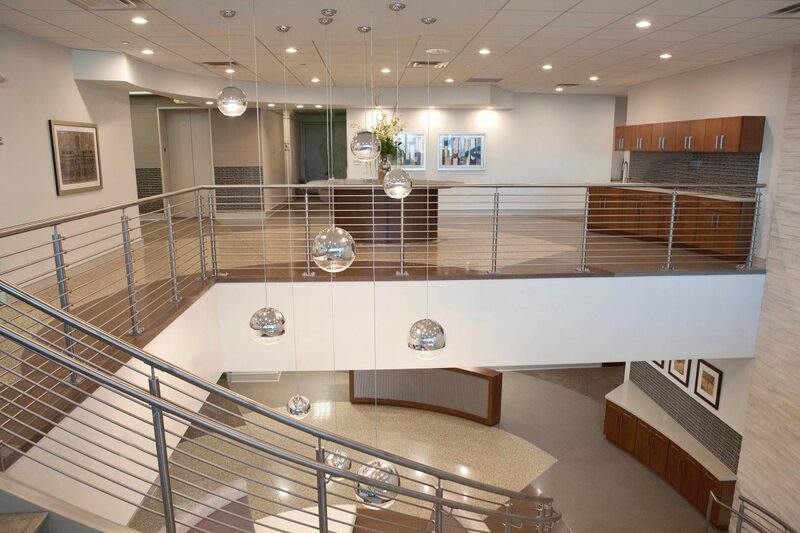 In the newly remodeled Market Tower, Scopelitis Garvin Light Hanson & Feary Law expanded and relocated to 38,000 square feet. 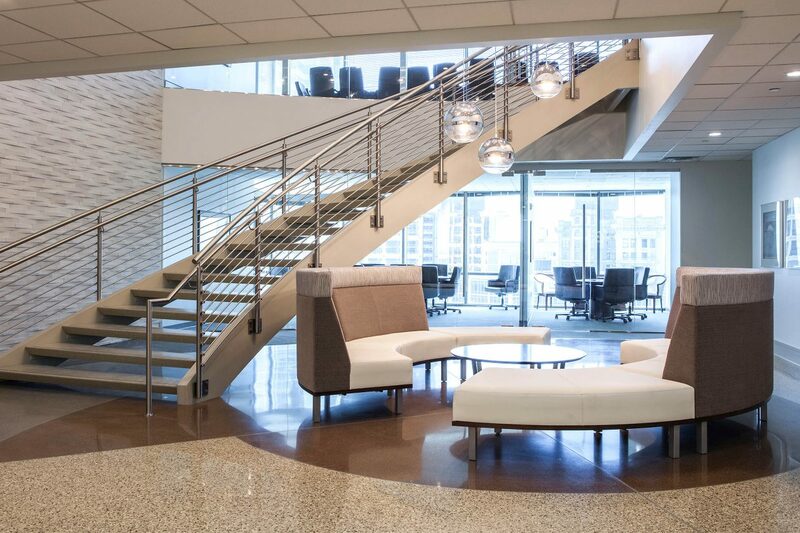 Their new space includes a grand two-story lobby area, in which we built an interior staircase, breakout rooms and traditional office space. 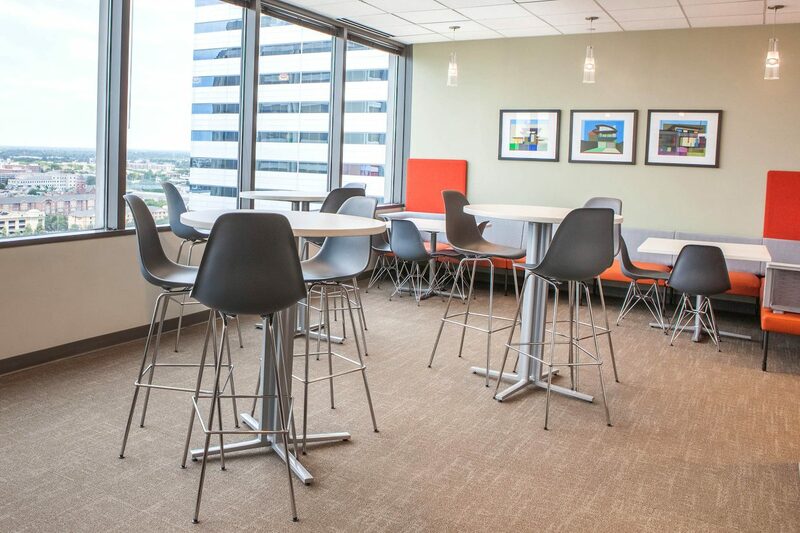 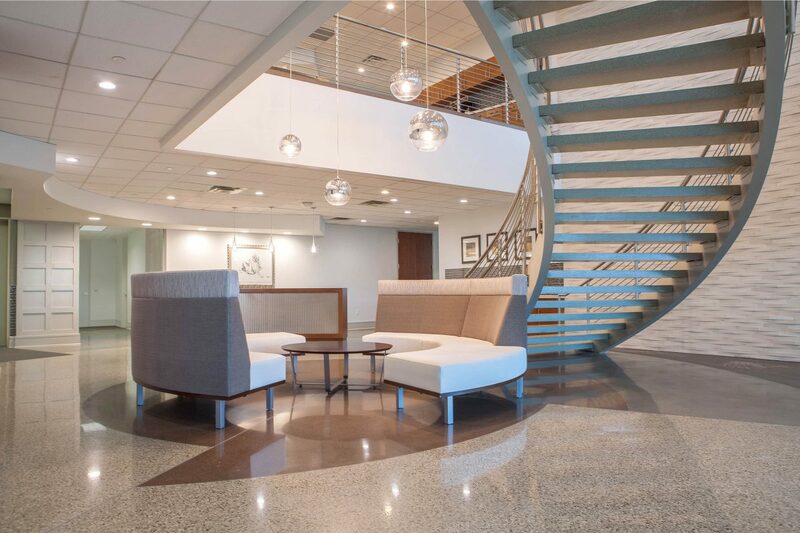 Indianapolis’ own Schott Design worked with the Scopelitis team to create their new workplace.